This post contains affiliate links. Purchasing through them helps keep The Audiobookworm going. Learn more here. The purpose of Wednesday Resource Reviews is to help listeners and potential listeners compare and contrast the many audiobook listening resources available to them. I will test as many of these resources as possible and relay my first-hand experiences in an effort to help you find an audiobook resource/service that best fits you. Wednesday Resource Reviews are purely based on my subjective experience and information available on the web, from other listeners, or from someone representing the resource (i.e. customer service). All types of resources will be reviewed, including those from free audiobook sources. However, illegal sources (such as those violating copyright laws) will not be reviewed. Let me start by saying I have had nothing but positive experiences with Audiobooks.com. I’ve been a steady subscriber since August 2016. I used this service to hear Diana Gabaldon’s Outlander, and that 32 our experience alone was enough for me to become pretty well acquainted with the Audiobooks.com mobile app. I’ve contacted customer service on multiple occasions and have always received a timely, polite, and helpful response. When the customer service representative did not have the information I needed, he immediately referred me to his supervisor. Said supervisor responded to my email with impressive quickness, especially considering it was during the holidays. I’ve also had contact with representatives in other departments and have consistently come away with the feeling of being valued. I hope you, as a subscriber or potential subscriber, can see the relevance of these experiences. For me, it’s important to know that a company is reliable and respects me as a customer. Customer service is part of the consumer experience and should be seen as a purchased commodity, just as much as the goods being purchased (in this case, audiobooks). In a lot of cases, this is a dealbreaker when deciding whether or not to give a company my money. Based on my experience, Audiobooks.com is a company that I am completely comfortable giving my support. I recommend them to you fully believing that you will be treated as kindly as I have been. Another reason I recommend this company is because I believe they have the best interests of audiobook lovers at heart. From what I’ve found, Audiobooks.com is a company that was founded for the love of audiobooks. Its parent company is Simply Audiobooks, a cd and cassette audiobook rental service that has been in business for almost 15 years. Audiobooks.com claims to be “a bunch of book and tech nerds doing cool things to make listening to books better” and I actually believe them. They’ve already made my audiobook listening more enjoyable simply by alleviating my concern over running out of storage space on my mobile device. Audiobooks.com uses patent-pending cloudmark sync technology to store audiobooks in a cloud rather than on your device. It’s still possible to download a title to your device, if you’re worried about data overages while listening on the go. Since I do most of my listening at home (connected to Wi-Fi), I love this feature! Especially considering the I’ve been listening to some gigantic books lately (30-50+ hours). Another way Audiobooks.com benefits it listeners is by instating an awesome affiliate program. I’m an affiliate with several audiobook services and Audiobooks.com is my favorite. They are the only affiliate program I’ve found with subaffiliation capabilities (you can sign up affiliates under you) and they give the highest commission rate ($15 for every free trial generated). This is especially important for book bloggers because blogging can be expensive! Also, I’d like to give a shout out to Nicholas, the affiliate manager, for being so patient with me and answering all of my [many] questions. ➜ If you would like to sign-up as an Audiobooks.com affiliate, you can do so here. Feel free to ask me questions about it too! The two primary quantifying factors I judge an audiobook service by are price and selection size. In other words, what am I getting and how much am I paying for it? At $14.95, it costs the same per month as a basic subscription to Audible and around six dollars more than Scribd (see review). This wouldn’t be noteworthy if their selection size was comparable. I understand that it’s hard to compete with Audible’s 180,000+ titles, but if it’s going to cost the same, something has to give. And that, friends, is the primary complaint I’m logging against this service. Either the price needs to come down or the selection size needs to increase. The quality of the selection, however, is admirable. Audiobooks.com has a number of popular titles from best-selling authors such as Stephen King, John Grisham, Danielle Steel, James Patterson, Nicholas Sparks, Jodi Picoult, John Green, and so on. If you’re looking to keep up with the latest literary trends, they will likely have you’re looking for. I certainly have had no problem finding something to listen to among their library! It should be noted that Audiobooks.com frequently runs 2-for-1 deals. 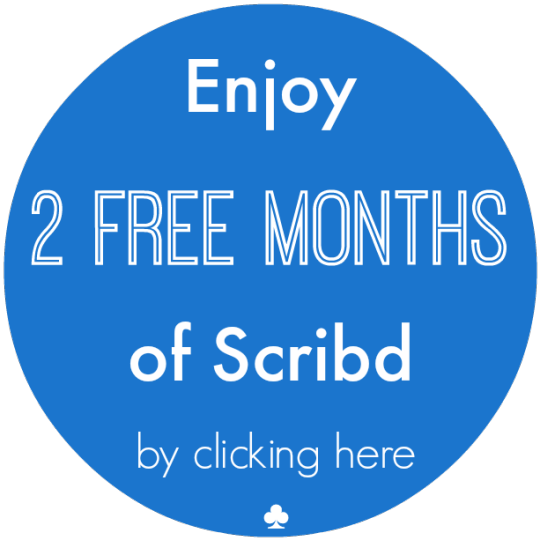 You can purchase a preselected title for one credit and download its sequel for free. That is how I nabbed the first two installments of The Program and Leviathan. There’s also a sale section on the Audiobooks.com website where you can grab other preselected titles for $8, around half of the membership price. The Audiobooks.com website passed one of my primary tests by having a designated ‘Young Adult’ genre. Call it a personal pet peeve, but I hate when services group the young adult and children sections together and I am resisting the urge to rant about it. Overall, I was very pleased with the website structure and I found it easy to navigate, if a little sparse on detail. Plus, I love having the option to gift memberships and individual books. Trés convenient! Throughout my experience testing this service, I wound up using the mobile app 90% of the time. One of my chief complaints against Audible’s mobile app (see review) was that it does not allow in-app purchasing, but guess what? Audiobooks.com does! The app is basically a miniature version of the website, with full functionality. Actually, the app may have a few more bells and whistles. There’s a neat recommendation feature that detects your listening preferences and makes recommendations based on them. One thing I noticed that is missing from the app is a progress tracker. The app shows you how much time is remaining in your current listen, but not the percentage. Granted, this is only a minor nuisance, but I like being able to update my progress on Goodreads without having to pull out a calculator. Side note: This is an issue I’ve had with several audiobook listening apps. Maybe Goodreads should just take a hint and allow users to update their progress using more than pages and percentages. • The customer service: Responsive and genuinely helpful customer service counts for a lot in my book. Hopefully, it does in yours too. • The selection quality: This company boasts plenty of major titles, including most new releases. As long as you’re not looking for something obscure (or exclusive to another company), I think you’ll be able to find it here. • The mobile app: I love this mobile app! It’s simplistic and incredibly easy to use. The cloudmark sync technology hosts audiobooks in a cloud instead of on your phone, while still giving you the option to download. Knowing that my purchases aren’t taking up precious space on my device definitely inclines me to make more purchases. • In-app purchasing: The ability to purchase audiobooks straight from your mobile device is something you don’t really think about until you finish a book with a major cliffhanger and can’t immediately download the next one. Believe me, that’s a kind of audiobook listening hell! Audiobooks.com‘s mobile app not only allows you to make purchases using existing credits, but also allows the purchasing of additional credits when you run out. They’ve got you covered. • The ease of use: Seeing how easy and stress-free Audiobooks.com makes the entire process of purchasing and listening, it makes me wonder why I’ve been putting up with the complicated ins-and-outs of some other companies. After my experience with Audiobooks.com, one thing is clear: They value me, not just as a consumer, but as an audiobook listener. • The affiliate program: Hands-down, Audiobooks.com has the best audiobook affiliate program I’ve seen to date. Everything I’ve mentioned above about how they care for customers also applies to affiliates. Commission rate aside, I would not recommend this company to anyone if I didn’t genuinely believe in it. • The price vs. the perks: I’m grouping these together because they are interrelated. To be honest, the price alone isn’t a huge detraction for me. I wouldn’t mind paying $14.95 if I felt like I was getting a little more out of it. I would rather see an increase in the services offered (selection size + perks) than a decrease in subscription price. However, I do feel that this increase is bound to happen as the company continues to grow. Audiobooks.com has an excellent foundation and I’m certain that they will continue building on it. They are in position to be seen as an extremely viable alternative/competitor to Audible, especially for those not wanting to support a mega-corporation (Amazon). But hey, don’t just take my word for it. Try Audiobooks.com for yourself and get a free book. I’d love to hear about your experience! * This post will be amended and updated as necessary.